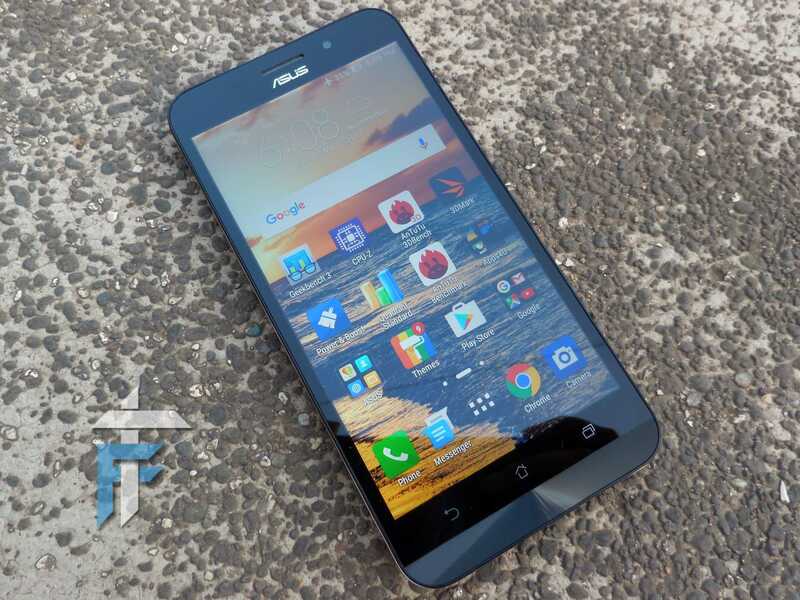 ASUS recently launched the new Zenfone Max ZC550KL with some upgraded specifications that boosts the performance. We also reviewed the previous model and found that the 5000mAh battery was amazing but the performance was very low. In this new model ZC550KL they have especially focused on the performance. So today we will be doing the New Zenfone Max 2016 full review with all the unboxing, benchmarking and gaming tests. Before we proceed with the review, I would like to tell you that ASUS got all creative and performed a stunt where in they sent us the devices packed in a box with 3 digit lock code. Now the daring was to keep the phone ‘on‘ when it got off from their headquarters. Check out the video below to see the box and its content. So this time we decided to go with Youtube and tried an Unboxing Video. You can watch it and submit your feedbacks for improvements in the comments section below. Getting started with the review now which will tell you if it lives up to the specification or not. The previous model of Zenfone Max was a disappointing device with a huge battery. Because the phone had some performance issues and the OS was also not optimized. There is no change in design as such the same leather finish back with more color options. The phone is available in Black, White, Orange and Blue color. You can watch the unboxing video to have a look at the design. 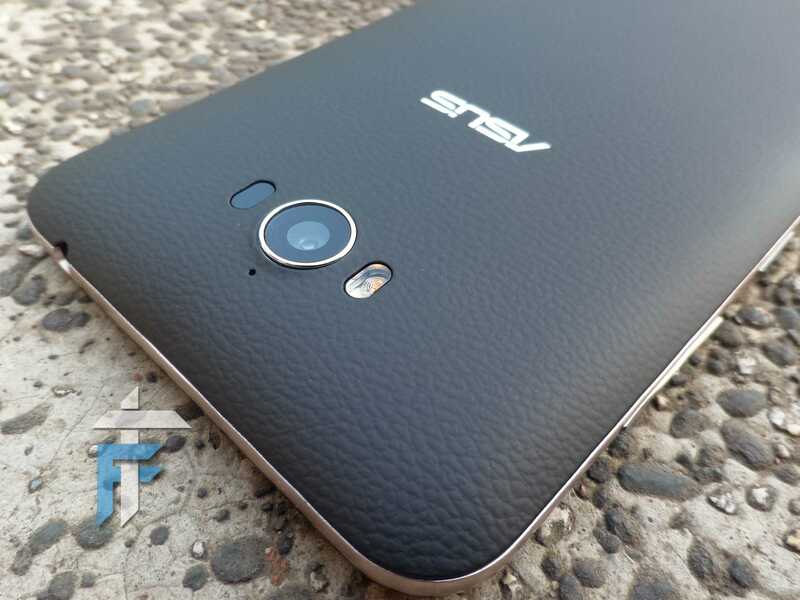 I seriously think ASUS should make their phones Slim and change the design. The phone has a tough build and they claim that Max is the slimmest phone with this much amount of battery. The phone weighs 202g which is not light at all and it does feel bulky with all that battery inside it. But the build quality is great like always. Max has a 5.5 inch HD screen with 267ppi pixel density. It supports 10 point multi touch with good viewing angles. I was never much amazed with the display quality of ASUS but yeah they have a decent screen. The concentrated circle design below the screen does give it a premium look all together. The screen does avoid most of the fingerprint marks but you can always choose a matte finish screen guard. The touch is smooth and responsive. For the protection part it has got corning Gorilla Glass 4 that will avoid the scratches and stuff. This is the part where it gets interesting. The new Zenfone Max ZC550KL comes with a Qualcomm Snapdragon 615 octa-core processor clocked at 1.5 Ghz. The phone comes with 2 ram variants the one with 2GB model that we got and the other one with 3GB RAM. We also have an upgrade in terms of internal memory as it has 32GB out of which 24GB is user available. You can always increase the memory using external SD card up to 64GB. Coming to the graphics, the phone has Adreno 405 GPU which performs quite well and finally we can play some real games on this device. It was able to run Dead Trigger 2, Asphalt 8 at full graphics while N.O.V.A. 3 did work on this device with some frame drops and minor lags. I was quite impressed with the improved performance. You can check out our Gaming and Benchmarking review below. The phone comes with Android Marshmallow out of the box with the Zen UI theme running on top of it. Frankly speaking you will not find any changes in UI because the ASUS Zen UI theme is same as it was on lollipop which is again boring. There are some apps that comes installed with the device which you can always remove or disable. But this time the bloatware seems a bit less, instead they have a new way of marketing apps by suggesting similar apps in the app tray. The smart group option is still available and you can see the range of suggested apps when you tap into any of the folders. I did find that annoying at times. The phone supports dual SIM GSM 4G LTE with mini-SIM card slot. Other connectivity options include Wifi, Bluetooth V4.0, GPS, & USB OTG. Talking about the sound quality, the audio level is medium and it is clear. 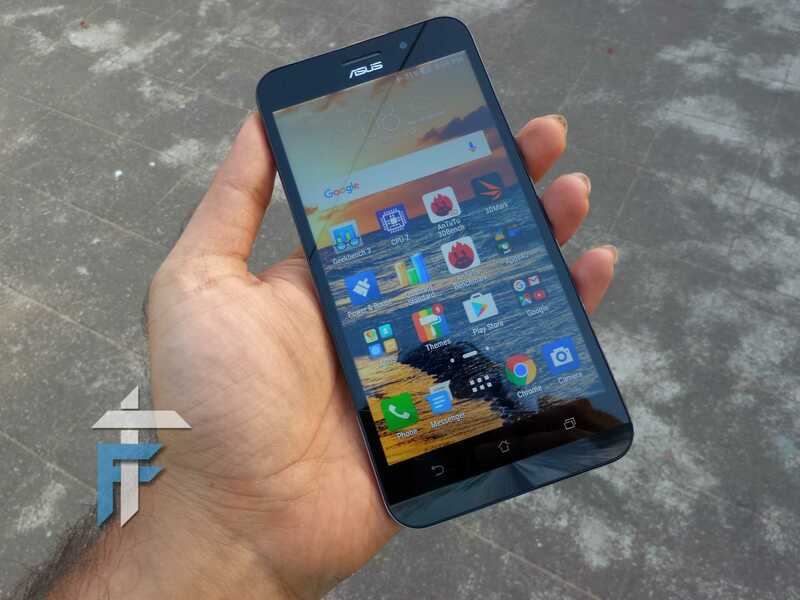 ASUS Zenfone Max 2016 comes with 13MP rear shooter and 5MP front shooter. It also has a Dual LED flash with Laser auto-focus. There is no upgrade in the camera quality and it is average overall. You can shoot some nice pics outdoors but while using it indoors there is some disturbance. Color reproduction is good and the macro shots with this phone are just great. The time of focusing is improved if we compare it with previous models that didn’t have laser auto-focus. The flash just works fine and is not the brightest I have seen. Zenfone Max is able of recording full HD videos. Though I felt that the whole camera preview thing lags when we move the phone fast. This happens with the front camera too which is again annoying. Below are some images taken using Zenfone Zoom. One thing that ASUS can bet is the battery. The above stunt of keeping the phone ‘on’ and sending for review shows that they know what they are saying. If you see the graph then on 11th May the battery was at 55% and on 23rd May it was at 25%. That means a 30% drop in battery percentage after 12days. So the phone can last 38 days and even more on standby. Even with the heavy usage the phone can last for over 2-3 days depending on which type of power user are you. Now the sad part is the USB portable charger that comes with Max has a rating of 5.2V 1A which is like way down the line. So if you use this charger it will take 5+ hrs for you to fully charge the battery. If you use a charger with high current rating like 2A+ then it will take 4hrs approx. One more thing the phone doesn’t have a quick charge support so it will be of no use if you charge it with a fast charger having 18W rating. But I think that slow charging does help a device to hold the charge for a longer time. One more thing about the Zenfone Max is the reverse charging feature where in you can use Max as powerbank to charge your other devices. Now the question that arises is how can we do that? So ASUS does provide an OTG cable using which you can connect a USB cable to charge other devices. The older version of Zenfone Max is now priced at 8,999 INR while the newer model with 2GB RAM is available for 9,999 INR. Now here comes a confusing pricing of 3GB model that is for 12,999 INR. I mean one has to pay 3,000 INR for 1 GB of extra RAM which is totally unfair. The phone is available on Flipkart. So this was the new Zenfone Max 2016 full review. For somebody who wants normal performance like the usual apps & playing some mid-range games, excellent battery, good durability and average camera then this phone is definitely for you. There is no denying it that this phone has an excellent battery with decent processing power which can turn out to be one of the choices. But people expecting higher performance, fingerprint sensor or may be a smart design then I suggest you choose other phones like Redmi Note 3, Coolpad Note 3, Le1S, Moto G4 plus etc. The most confusing thing about Zenfone Max is the pricing of 3GB RAM variant, I mean who is going to pay 3K more just to extend 1 GB RAM. I would suggest ASUS should think about this thing. If you have any doubts/confusions please let me know in the comment section below I would be happy to help.